University Professor Brent F. Nelsen explains why his former student, Alexander Stubb, should be the next European Commission president. Brent F. Nelsen is a professor of politics and international affairs at Furman University in South Carolina (United States). The European Union is tired and depressed. Brexit is a dog’s breakfast; the political centre is collapsing; Salvini is up; Merkel and Macron are down. And what’s more, strong men—Trump, Xi and Putin—command the world stage. The EU is left observing from the wings. That is unfortunate. The world needs a confident, vibrant EU reminding it that upholding the rights of persons and cooperating across borders—difficult tasks, surely—prevent the horrors of world war. But Europe is boring and risks irrelevance if it cannot adopt the new charismatic style of global politics. Trump, Xi and Putin, each in his own way, has brought a big personality to world politics—and each believes he alone can make his nation great again. Europe cannot put a grey bureaucrat next to those three men and expect the world to listen. He or she will be drowned out by the sound of the other leaders banging their own drums. 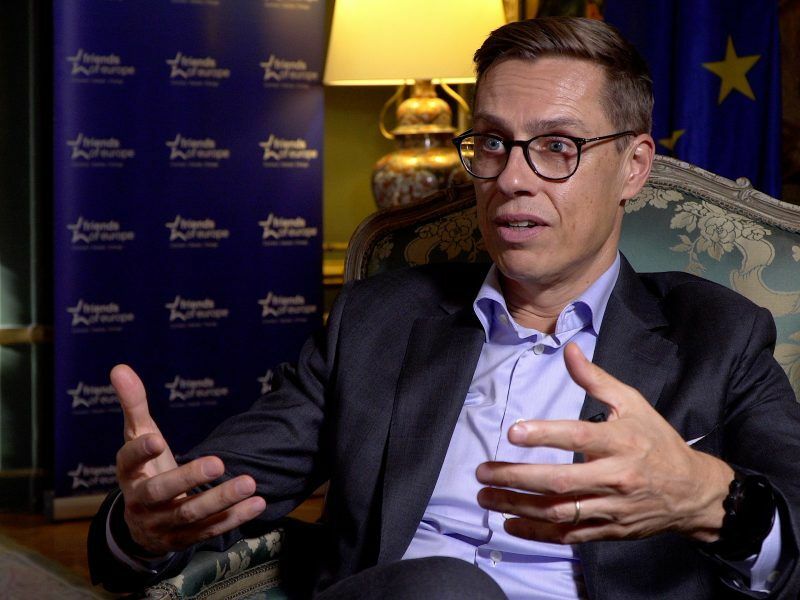 After serving his country as a minister and prime minister, and gaining first-hand experience in dealing with some of the EU’s biggest crises, Alexander Stubb is now vying for the top job in the European Commission. He presented his credentials during an interview with EURACTIV. Europe, of course, should not be led by an authoritarian Europeanist. But the EU needs a compelling personality—a leader with energy, vision and media savvy—to stand up to the nationalist triumvirate. It needs a communicator who argues for the liberal international order and the values that support human flourishing. Europe needs a leader with a message and communication strategy that builds confidence across the continent. And one more thing, the Commission president needs to be independent of the particular interests of the member states. The Commission was designed to present “Europe’s” case in the face of powerful national interests. It struggles to fulfil its calling but does best when led by a charismatic leader who articulates a clear set of EU goals and skilfully forges a European consensus. Future Commission presidents will have to go one step further and articulate these goals directly and effectively to the citizens of the EU, and the world. Next year the EU chooses a new Commission president. Soon the major political groups in the European Parliament will choose their Spitzenkandidats—the leaders who will take them into the next EP elections. It is likely (but not certain) the European Council will appoint the leader of the largest party group after the elections to lead the Commission—likely the European People’s Party. That means the best chance to choose a world-class leader for Europe will be on 7-8 November in Helsinki when the EPP chooses its Spitzenkandidat. The EPP must look to the future and make an historic choice. 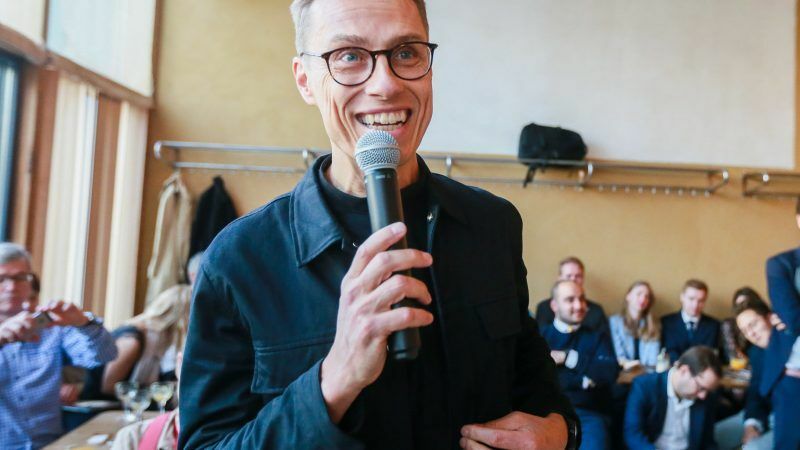 Of the candidates declared for this pseudo-primary, the former prime minister of Finland, Alexander Stubb, fits the profile of a new-style leader. [Full disclosure: I taught Stubb as an undergraduate at Furman University]. Few would deny that Alex Stubb has a big personality. He is tall, with a big smile and a gregarious demeanour; he dominates the rooms he enters. And he exudes an energy fueled by vitamin-rich smoothies and a fierce athletic training schedule (he was a decorated golfer in his youth and now competes in triathlons). Trump would be wise to leave his golf clubs—and Putin his hockey sticks—in the closet when Stubb comes to visit. But Alex Stubb is more than energy. With an earned PhD in political science, he has thought deeply about European integration. He is a true believer in the postwar European ideal of closer union, but his idealism is balanced by Nordic pragmatism and broad experience in both EU and national politics. He has worked in the Commission, held seats in national and European parliaments, held several government portfolios, sat on the Council of Ministers, negotiated coalition governments and as prime minister served as a member of the European Council. He has held positions of responsibility; he knows the weight of government; he knows European politics. Unlike other candidates, Stubb also knows America—Red America. As an undergraduate student in Greenville, South Carolina, he picked up a southern American accent and the appropriate use of “y’all”. That matters in relations with Donald Trump. Europe needs a leader who understands contemporary America. Stubb is treating this campaign like a sports competition: he has planned meticulously, remained disciplined, moved constantly and tweeted incessantly—in five languages. He produced a glossy political program brochure, ramped up a coordinated social media campaign, offered himself to the press (again, in five languages) and has flown all over Europe to meet with congress delegates. It’s as though he decided to prove his fitness for the job by sprinting a marathon. Is Stubb a self-promoter? By European standards, perhaps. But we live in an age of global self-promoters. Self-promoter or not, how different would the world feel about Europe—and Europe feel about itself—if the vibrant smile of Alex Stubb replaced the weary eyes of Angela Merkel as the global icon of the Union? Europe needs to find out. why this talk of all these superficial personal attributes? what matters is POLICIES that are in the interest of the individual member states. I think you get something wrong here, Johan. The European Commission is supposed to exclusively serve EU interests rather than MS interests. For the latter, there’s the Council. However, I agree with you that policies should matter rather than personality etc. Since I do not think Weber has that much (or even any) more to offer than Stubb in this field, I would also prefer the Finnish guy, holding a German passport myself. The last thing that Europe needs is American style ‘leadership’. Alexander Stubb IS the only right one to govern in the E.U. Commission unlike Manfred Weber who candidates as well but has in no way the required qualifications. Policy, of course, is important, but leadership, coalition building, and communication bring policy from Brussels to the rest of Europe. Alex is the only candidate with the skills, the experience, and yes, the personality, to lead Europe into a tumultuous future featuring unpredictable and loud leaders in China, Russia, and the United States. If Europe is to avoid being drowned out, Stubb is the answer.